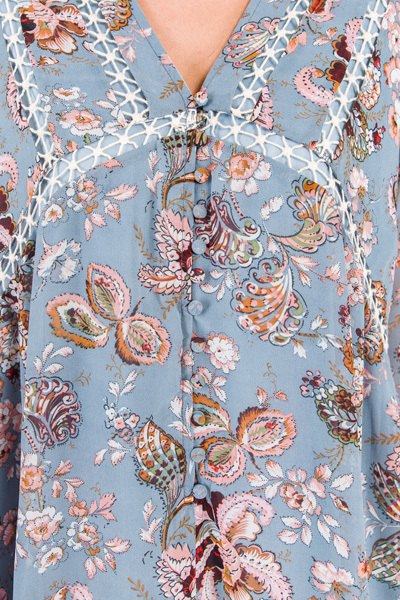 Say hello to the prettiest dress in your closet! The V neckline and front buttons + a center seam will flatter anyone. 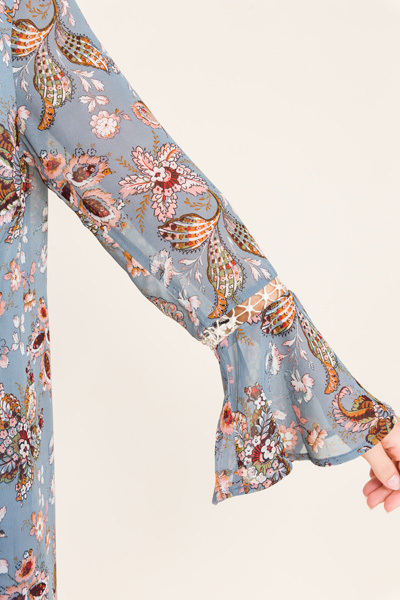 Crochet details, bell sleeves, and that gorgeous floral print give it an extra feminine flare. Length measures approximately: S=33" M=34" L=35"